Speak with one of our billing experts today. Fusebill will automate your subscription billing and management processes. Whether it's customer interaction or providing tools for your customers to be self-sufficient. With Fusebill's subscription software automation tools you can customize all your customer communications such as failed payments, expired credit cards, or past due invoices. You can also utilize our self service portal so your customers can update payment methods, view invoices, or buy more services. Exploring new pricing, different bundle offerings, or a seasonal discount? 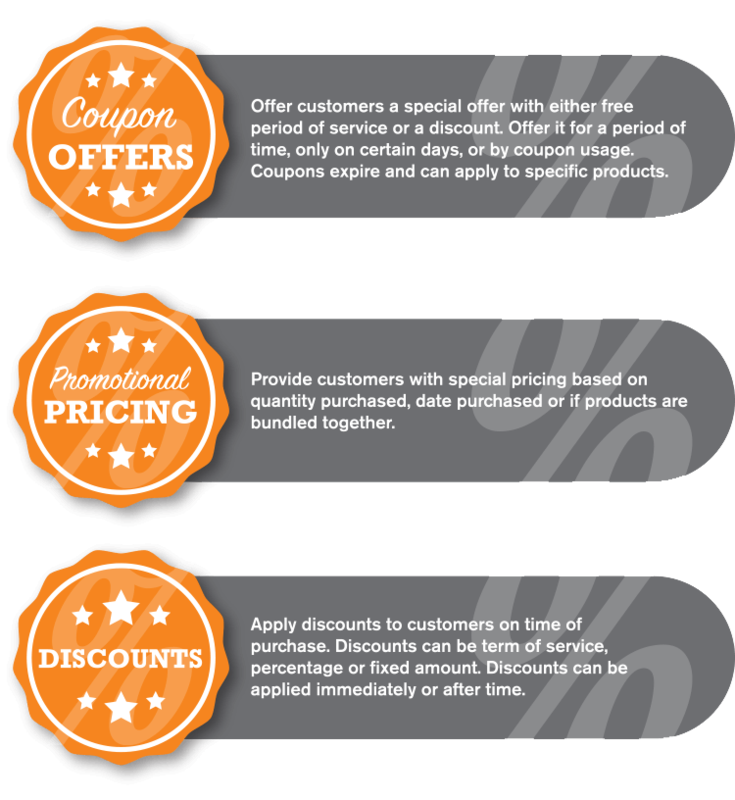 Need to offer a seasonal discount for customers? With Fusebill you can create coupons and promos in seconds, whether it's for one time use, multiple use, or for a period of time. Discounts can be in the form of dollar amount, percentage or term of service. Want to offer a new bundle or pricing option? You can create new products and bundles in seconds, so you customers can start buying immediately. Do you ship devices, need to keep track of software licenses, or need sales tracking on subscriptions? 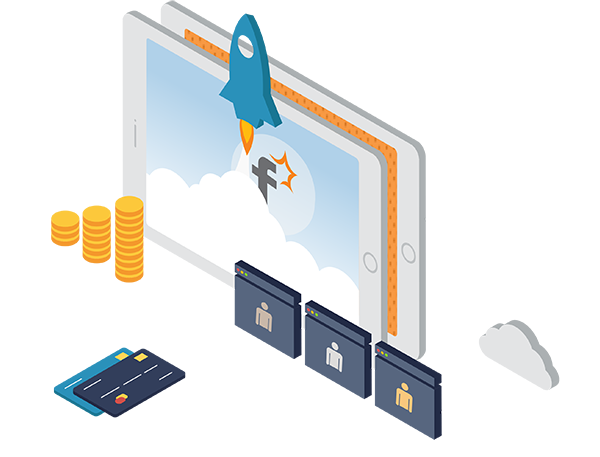 Fusebill has all the subscription billing and management capabilities we require now, AND it’s the only platform that will satisfy our future needs as we scale. With Fusebill we reduced our time spent on billing by 80%, it has helped maximize our revenue and increased our customer satisfaction. Fusebill’s feature - rich platform has given us a powerful way to seamlessly manage our entire subscription business from billing to account management. Fusebill is the Swiss Army Knife of billing. Fusebill has scaled with us as our needs and processes have changed, allowing us to maintain a 50% annual growth rate and double our number of product offerings each year. 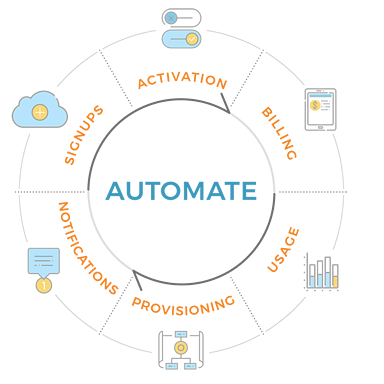 AUTOMATE Recurring Billing. ELIMINATE BILLING BOTTLENECKS. LAUNCH PRODUCTS FASTER.